After a few days of trying different styles of jeans and trousers, this morning I returned to skinny jeans. And, like Jasmine WornOut, its the Baxter skinny jeans, only I am wearing them in white. TopShop seem to do the white ones every year, and I’ve yet to find a thicker pair of white skinny jeans. If you know of any other contenders, though, please do let me know, as I would like another pair. Anyway, I’ve worn white skinny jeans, because I have seen a few pics on Pinterest of some great looking outfits featuring white skinnies in winter with ankle boots and coats/blazers and really wanted to be able to crack this look myself. Its just such a nice break from dark denim. Today’s outfit, Gap grey wool V-neck (bought yesterday from a charity shop – straight to work, my little bargain! ), Zara sparkly necklace, Uniqlo black Heattech, TopShop white Baxter skinny jeans, White Stuff grey Daisy ankle boots. And then also Massimo Dutti black pea coat and raspberry pink silk/cashmere pashmina (so luxe! And definitely a deep berry pink, not the red it appears in either the eBay photo or my photo below). And here are the photos that I have pinned on Pinterest of lovely winter outfits with white skinnies. Enjoy! This entry was posted in Outfits and tagged eBay, Massimo Dutti, Topshop, Uniqlo, WhiteStuff, Zara on March 15, 2013 by Belinda WornOut. We headed out this afternoon for afternoon cake, fruit salad and juice at Pret. 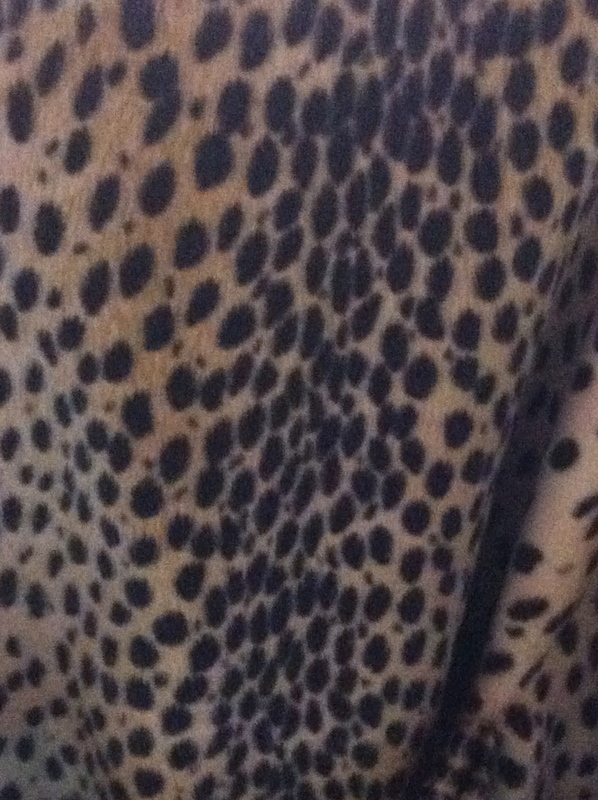 Instead of reaching for my North Face coat, my inner Cruella de Ville took over, and out came the leopard coat. My eldest was delighted, stroking my coat, cooing how “pretty it is, Mummy, so pretty”. Its actually quite a warm coat, so quite a sensible choice for a short walk through the snowy streets. Am muttering this last bit quietly, as talking about cashmere / wool socks is hardly exciting, but these ones have served me well lately, and at £13 for 2 pairs, I think that’s a great deal. Cashmere for softness and extra warmth (40%), wool for durability (48%) and polyamide for, I don’t know, elasticity? (12%). Right, am off for another liqueur. Night, night, reader. 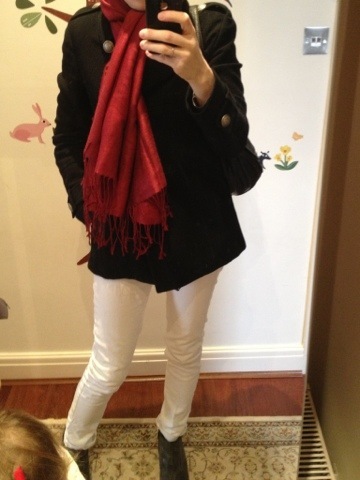 This entry was posted in Outfits and tagged eBay, Office, Tie Rack, Topshop, Zara on January 19, 2013 by Belinda WornOut. How many hours until nursery and playgroup re-start??!! 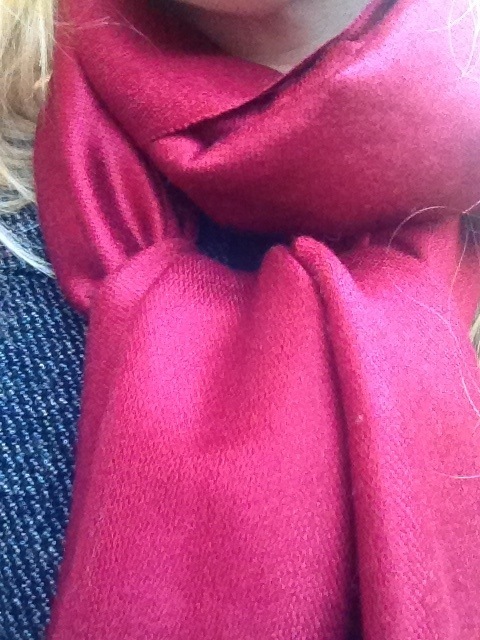 Well, at least I have this sumptuous silk/cashmere berry scarf to bury myself into. Its luxe, lovely and only £18.50 from the charming ebay sellers in Scotland, called Mercado Gifts (I have bought from them before). They are hoping to get some more jewel tones in later this year, and I will be keeping my eye out for the “emerald” that should be coming. The eBay photos aren’t the best for displaying the “true” colour, so I hope you can see in my photos that the berry is actually slightly pinker than it may otherwise appear. I am also wearing the Mango tweed jacket, a black H&M long sleeve top, black Kurt Geiger ankle boots and new fab jeans from Mango. These are called “Kate”. Well, Kate is great. £25, with a 25% poly content for good stretch that holds, and a great length for me, so no need for alterations. 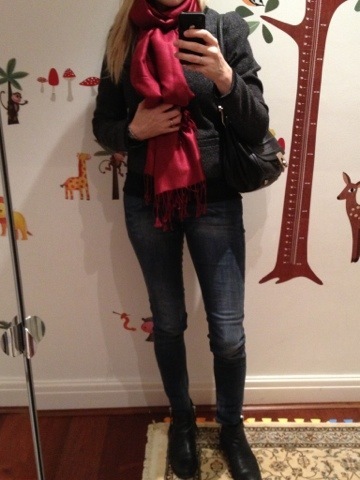 This entry was posted in Outfits and tagged eBay, KG Kurt Geiger, Mango, Mercado Gifts, Zara on January 3, 2013 by Belinda WornOut. 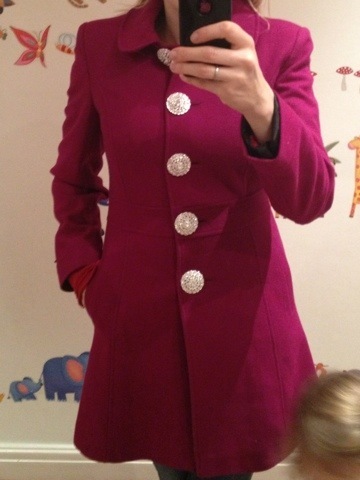 I have a magenta princess coat, bought a long time ago from Dorothy Perkins. But it came with black buttons, which can look a bit harsh. 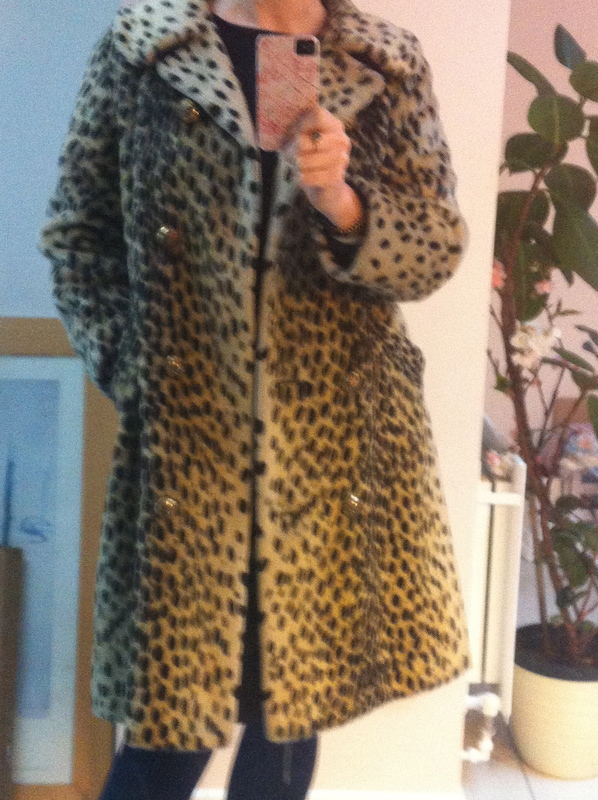 Its a darling coat, so I didn’t want to bin it. Instead, I pimped my coat. Mend and make do? Well, more like mend and make Miu Miu! 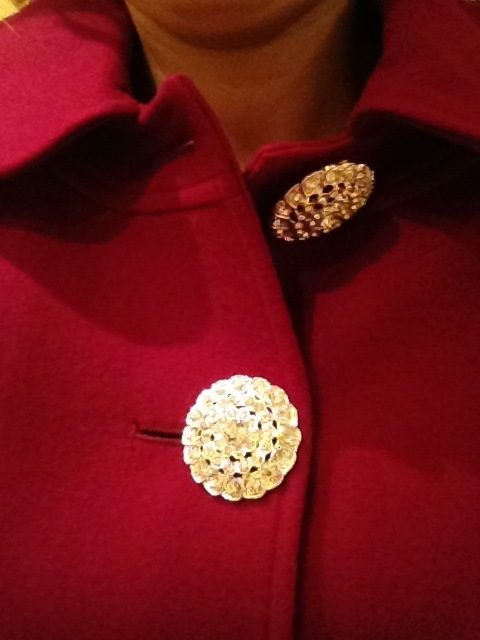 Obviously, I can’t upcycle Dotty P all the way up to Miu Miu, but I was thinking of all the jewel encrusting Miu Miu do when I chose my new buttons. But I wanted it to look more like this! After hours trawling London’s button sellers (Liberty has a wonderful selection, and its such a joy to spend time in the haberdashery department), I found my large diamante buttons on ebay in China at £5 for 4 – a fraction of the cost of buying from UK retailers. 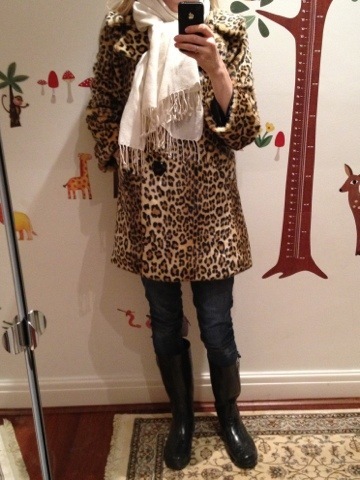 This entry was posted in Outfits and tagged Dorothy Perkins, eBay, Miu Miu on December 30, 2012 by Belinda WornOut. I have been searching for two items for what seems like ages, namely a leopard faux fur coat (particularly as Belinda looks so fantastic in hers) and a sequin blazer. If money were no object I would have snapped up this Colette Dinnigan fur that I blogged about before and this Zadig and Voltaire sparkly number – they do good sequins! However my lovely children always seem to have other plans for my spending money, so I had to do the ‘search, order, return’ routine a few times. But I have succeeded in getting what I wanted, so I’m on that retail success high today! Here’s the coat, better in the flesh than I had hoped, the colour is just right for me. I wanted a pale creamy print, rather than a tan one. I highly recommend vintage faux fur, I have three now, all bargains and the quality of the fabric is so much better than most of the high street offerings. Etsy and ebay, particularly US ebay are great sources of vintage faux fur. 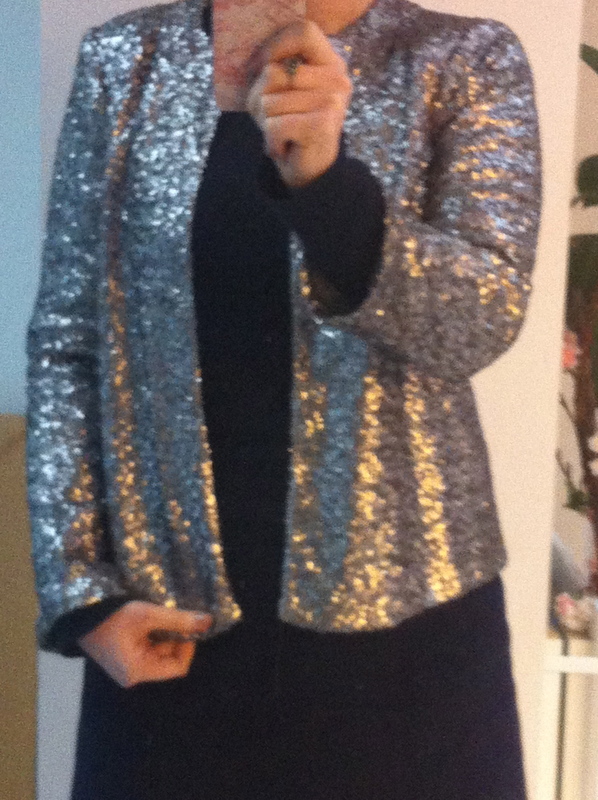 The sequins are from ASOS. The blazer was in my basket for a week or two while I waited for a code or sale, I knew one would come along sooner or later. 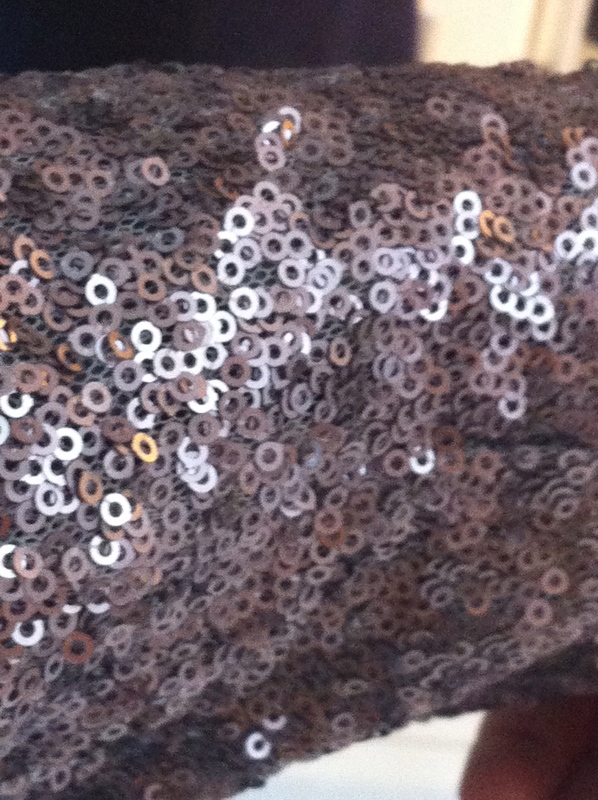 It is just what I wanted, matt sequins and the right cut. I’m planning to layer it something like this. I’m just wondering if it would be a bit OTT to wear them both together?! This entry was posted in Outfits and tagged ASOS, Colette Dinnigan, eBay, Etsy, Zadig & Voltaire on November 16, 2012 by Emma WornOut.